Guide for how to convert SWF to MP4? 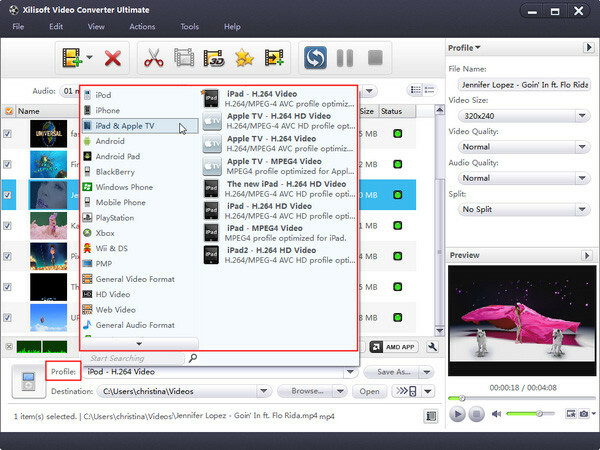 Current Page: Xilisoft > Video Converter > How to convert SWF to MP4? Sometimes, we can get or download many funny videos with FLV or SWF formats, and after that we want to enjoy them on iPod, PSP, and some other MP4 Players. We need to convert SWF to MP4. How? Xilisoft Video Converter now can help you do everything: give you enough freedom to convert SWF files to MP4 video with ease! And the SWF to MP4 converter will bring you the fast conversion from SWF video to MP4 file with excellent quality. The tips below will tell you how to step by step convert SWF to MP4, even if you know nothing about the SWF to MP4 conversion before. 1. 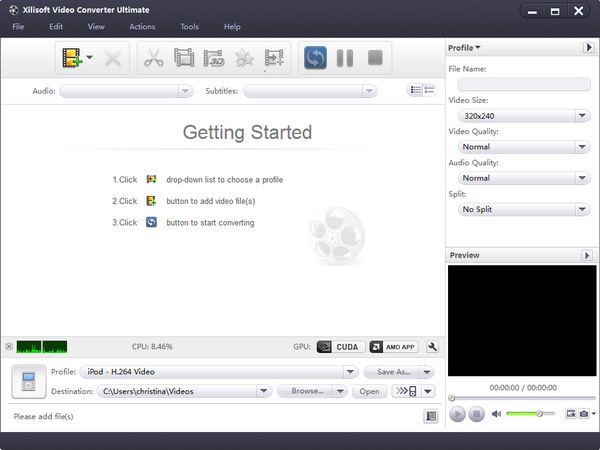 Free download the powerful and simple-to-use Xilisoft Video Converter, install and launch. 2. Add any "SWF" video file from the "File" menu in batches. 3. Choose the proper "MP4" video format and output folder. 4. Click "Convert" button! After a few minutes waiting, the conversion from SWF to MP4 file is completed with excellent video quality. Tips 1: If you need, append many tasks at one time and the SWF to MP4 converter will convert them one by one for saving your time. Tips 2: Xilisoft Video Converter provides various SWF video profiles and these formats are classified by device to let you use conveniently, furthermore, the powerful SWF converter offers many advanced options such as bit rate, sample rate, zoom, etc. for some seniors. Tips 4: As expert and multifunctional SWF to MP4 converter software, it also can create MP4 videos from your favorite images. User-friendly interface and fast conversion speed make the whole SWF to MP4 video conversion much easier and faster. Why not have a try, you will find more information at: Convert SWF to MP4. How to convert SWF to MOV with Xilisoft SWF Converter? How to convert RMVB to MP4?